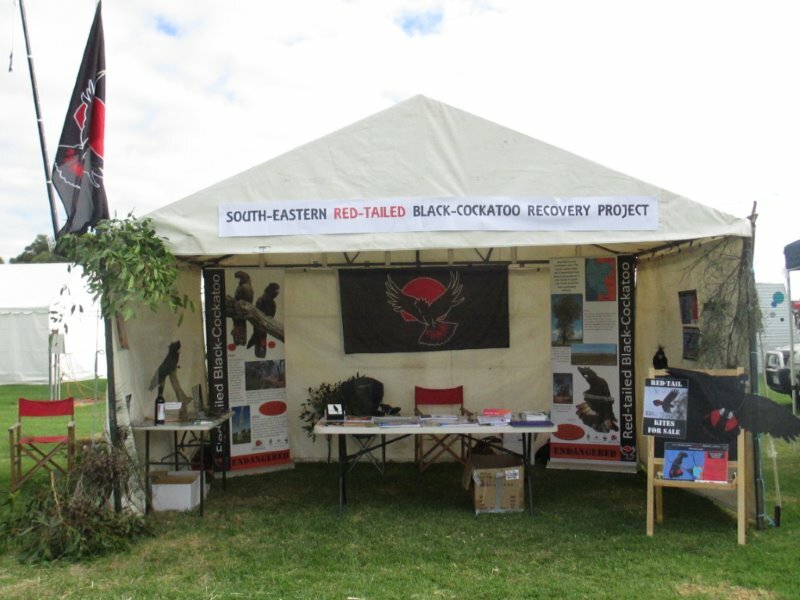 Project staff, volunteers and recovery team members will be available over both days to answer any questions you may have about the cockatoo and its recovery. Visitors to the site will have the opportunity to learn more about Red-tails through our interpretative displays and how they can become involved in recovery activities for the cockatoo, such as the 2014 annual cocky count. This year you will find us at our usual site (383) on Wilson Street. Just look for our flying Red-tail Flags. We will also be showcasing all of our coin competition winner’s artwork and handing out information booklets, balloons and stickers for the kids. Red-tail kites will also be again available for purchase at a cost of $20 each. So come along and visit us at site 383! We look forward to seeing you there.